Is There Something Fishy On Your Dinner Table? Do you eat as much fish as you’d like to eat? Are you eating the “right” kind of fish? We all need to eat more fish. Fish is a low-fat high quality protein. 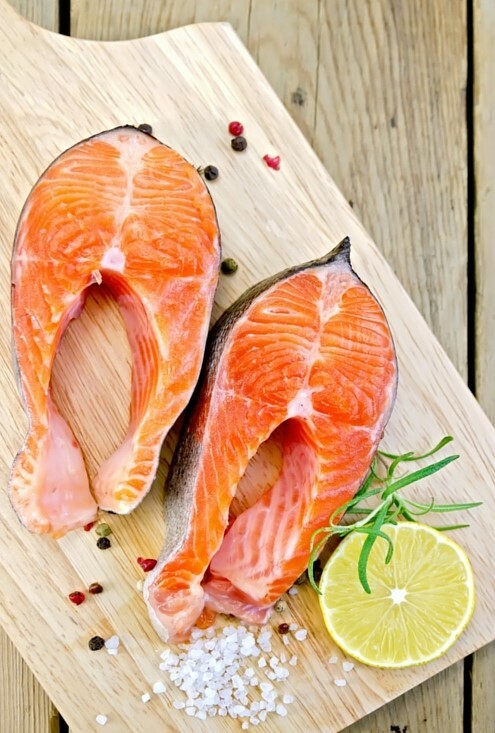 Fish contains omega-3 fatty acids and vitamins such as D and B2 (riboflavin). Fish is rich in calcium and phosphorus and a great source of minerals, such as iron, zinc, iodine, magnesium, and potassium. The American Heart Association recommends eating fish at least two times per week as part of a healthy diet. [Click to Tweet] Packed with protein, vitamins, and nutrients, fish can lower blood pressure and help reduce the risk of a heart attack or stroke. But, there is a legitimate concern about whether the fish is farm-raised or wild caught and how much mercury is in it. There are definitely some fish that contain higher levels of mercury that you should only eat maybe once or twice a week – swordfish, shark, shellfish and king mackerel, for example. Shellfish is a favorite cuisine of many but remember they are the “cleaners” of the sea (bottom feeders), along with other favorites like catfish, tilapia, scallops, grouper and cod to name a few. That’s not to say you should not eat them – just that you should not only eat those types of fish. Among the fish that are the healthiest are: rainbow trout, salmon, pacific sardines, kippers (found in a can), anchovies, oysters, canned (wild caught) light tuna, and black cod. Help keep up a healthy heart by lowering blood pressure and reducing the risk of sudden death, heart attack, abnormal heart rhythms, and strokes. May prevent inflammation and reduce the risk of arthritis. So get your “fish on” and eat a few servings of wild-caught fish this week (and every week). Do you have a favorite fish recipe? Previous PostWhy You Should Say Yes, Please to Teas!Next PostAfraid of a Heart Attack? This Test Can Help Determine Your Real Risk!